Ritu Jhingan did BA in Humanities from Delhi University. She worked with UN for 3 years. 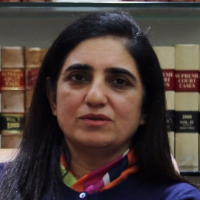 She has been working as a Legal Secretary with R S Gill & Associates since last 17 years. "I did BA in Humanities from Delhi University. I worked with UN for 3 years. I am working as a Legal Secretary with R S Gill & Associates since last 17 years."